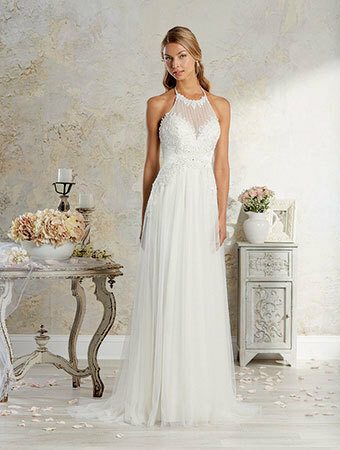 Ethereal soft net wedding dress accented with a halter neckline, sheer illusion yoke and a low back neckline. The embroidered lace medallions have metallic accents that are intricately beaded and placed on the bodice. 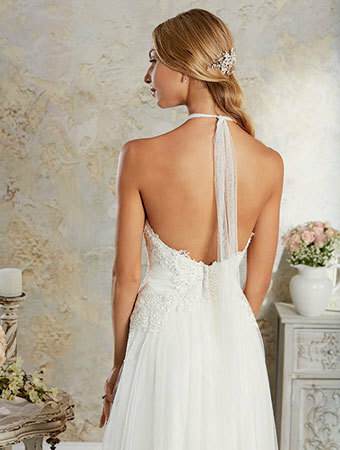 The softly-gathered skirt finishes with a chapel train.